As we get older, our body’s metabolism slows down. To add to that, we engage is less physical activity as we move from playing to studying to working. By the time we graduate from college, most of our time will be spent at the office and almost no time doing physical activity. Of course you can go get a gym membership or buy expensive workout equipment. But exercise need not be limited to the traditional ‘working out’. In its most simple form getting in shape and going back to fitness can be as little as getting daily brisk walks or running. You won’t need any equipment making it cost effective. A more fun and rewarding way is to get a dog. Yes, dogs aren’t just companions but they’re also great for our health. 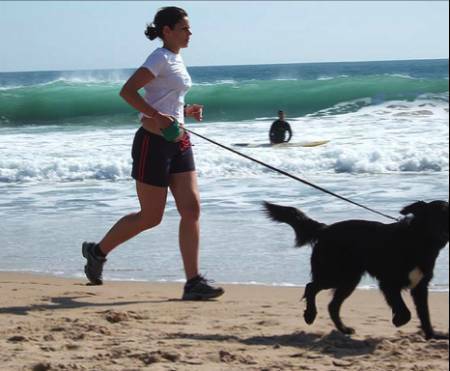 Like dogs we need regular exercise, you can run, jump or just walk with your dog. They need the exercise and so do we too. Plus, we have a much more fun time getting in the exercise compared to just running on the treadmill for hours. You don’t need to do a lot of very intensive exercises. Simple walks around the neighborhood blocks regularly does the job. In fact medical researchers have proved that dog owners who took their dogs out for walks covered more walking distance regularly compared to those who didn’t own dogs. There’s no need to do anything like P90X or Vert Shock jumping which are both high intensity workouts for athletes, regular walks and playing with them covers more than what we need. Plus, they’re more fun. The great thing about walking your dog is that they are natural energy boosters and act as your cheerleaders. They motivate you to go further because they like to enjoy the outdoors. Aim for 20 minutes daily. You can mix up the walking pace, the distances and where you walk. Walking is a great way to burn calories and can burn as much as 300 calories. This makes for a nice way to get yourself fit. 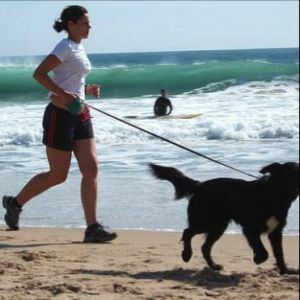 Physical activity need not be limited to walking your dog. You can play with them, run, jump or play catch. A quick game of catch is also one of my favorites this not only lets them use their burst of speed but also builds your relationship with them. 1. Keep hydrated. Don’t forget to drink fluids, specially water. Both you and your dog need to be well hydrated. The hotter the weather the more you need to make sure you get enough water to combat dehydration. 2. Choose the right type of exercise. Always be safe. This again, goes for both pet and owner. Don’t play or do activities in terrain that may be slippery or jagged. This may hurt one or both of you. Choose somewhere that’s pet friendly so they don’t get hurt. 3. Lastly, be sure to go by the vet before doing any strenuous exercise with you pet. Know what type of exercise your breed is made for. 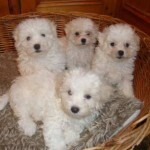 Some breeds are great for big outdoor spaces while others feel better in smaller areas. Don’t forget to have the vet check your pet too. This is just a safety check to rule out any heart conditions or joint issues that may get in the way or get aggravated. When you get the go signal from your vet, then you’re go to go.